Pre-pro tin litho advertising tray for Moerlein Brewery of Cincinnati, OH. This tray is near-mint with excellent geometric design and colors across the surface. 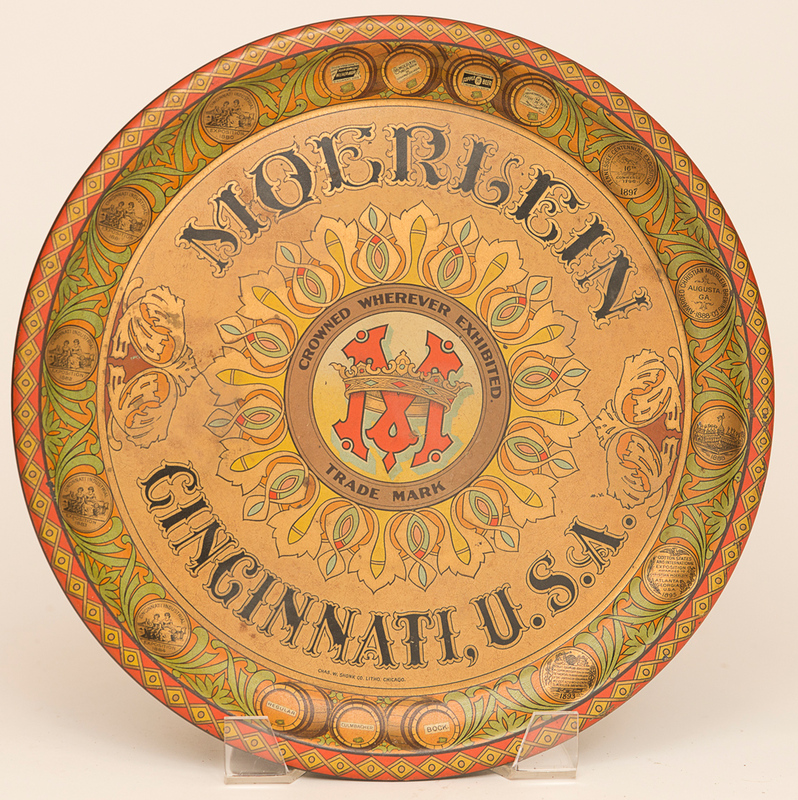 A real stunner for any Ohio or Cincinnati collector!